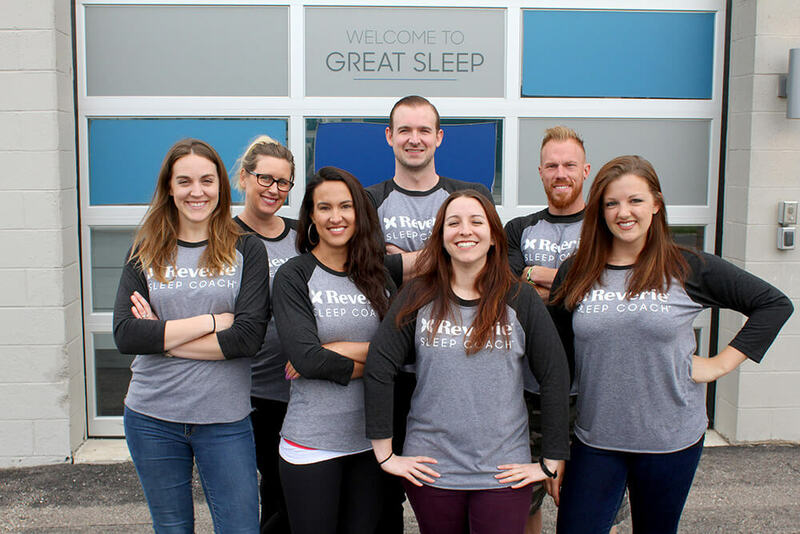 Our team of coaches come from wellness backgrounds and have been trained through a rigorous curriculum on sleep. They’re here to educate, motivate, encourage, and help you live the life you want through sleep. Elise is about wellness down to her core (her very strong core). When she's not helping people get the best night of sleep yet, you'll find her in the gym or studying the ins and outs of personal training. Elise is passionate about helping people live their healthiest life: and that means getting great sleep. Rachel sees sleep as an essential (and underrated) pillar of health. She believes people are at their best when they are well rested. You can find her geeking out on the latest sleep science research and trying new sleep solutions in her own life. She is a self-made morning person who seeks to improve her clients’ lives through the power of sleep. Kevin is a coach through and through. When he's not advising people on how to get a better night’s sleep, he’s at the gym pushing people to reach new personal bests. Kevin is committed to helping everyone he comes in contact with reach new heights in all areas of their physical health in the most efficient way possible: getting great sleep. Lisa comes from a health coaching background and is always learning anything she can about the ever- changing world of health. Her passion for wellness brims right over into her sleep coaching, and her expert knowledge helps to ensure that we always bring the most accurate and relatable sleep science to our clients. Stephen has helped people find the best bed setup for their sleep for the last four years, so you could say he knows a thing or two about common sleep issues. When he's not helping people achieve their best night’s sleep, you can usually find him watching college football or enjoying a beautiful day on the golf course. Stephanie seeks balance in her everyday life and wants to help others build rest and relaxation into their busy schedules. She sees sleep as a powerful tool for mental health and works to help clients prioritize great sleep in their own lives. Alyssa is a former fitness instructor now using sleep to bring a dynamic difference to her clients’ health and wellness. She believes that the best way to make these huge positive changes is through small, attainable steps. Working with this philosophy, Alyssa knows that her clients will make improvements that stand the test of time. When she‘s not encouraging others in their health and sleep habits, you can find her making delicious cupcakes.